A dominant Exeter Chiefs pack saw them defeat Warriors 28-11 at Sandy Park on a sunny Saturday afternoon of Gallagher Premiership Rugby. 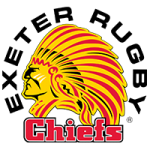 Chiefs took a healthy 21-3 lead into the interval with a Jack Yeandle try and a brace for Dave Ewers as they showed how clinical they were from close range. A Chris Pennell penalty and a Ted Hill try gave Warriors hope of a comeback but Harry Williams’ effort sealed the try-bonus point and the win for the hosts late on. The start of the contest saw most of the play in the middle of the field as both sides struggled to get a scruff of the game until Pennell’s penalty in the 18th minute opened the scoring as he slotted well from 40 metres. 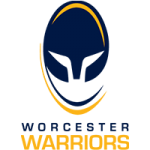 Exeter looked dangerous as ever from close range and when camped by the Warriors five-metre line, they showed how clinical they were to crash over with Yeandle off a maul. Not long later they helped themselves to a second when back row Ewers powered over from close range as the hosts showed their strength up front and Steenson’s conversion made it 14-3. And they weren’t done there as Ewers bagged a second try when he crossed on the stroke of half-time following more patient play when in the Worcester 22. Warriors looked for a reply early in the second-half and they got points early as Pennell chipped over an easy three from the tee. Perry Humphreys looked dangerous every time he got ball in hand and his cheeky offload to Ashley Beck almost saw the Welshman make the whitewash before Warriors recycled and Hill managed to crash over for his third try in two games following some patient forwards play. Warriors enjoyed the possession and territory for the third quarter as they hunted a comeback but couldn’t get through a solid Exeter defence. And Rob Baxter’s men punished them when they put the pressure on in the 22 and after Ryan Bower was sin-binned, replacement Williams crashed over to secure the bonus-point try. Warriors came close to the whitewash with a few minutes remaining but Exeter’s strong pack shoved them to touch to send them back up the M5 empty-handed. Next up it’s a big home clash with Bristol Bears at Sixways on Sunday 7 October (kick-off 3pm).